There are a variety of lower body plyometric exercises and they work best in a efficient progression. Using random plyometric exercises haphazardly can result in being undertrained and causing an injury. See more below! 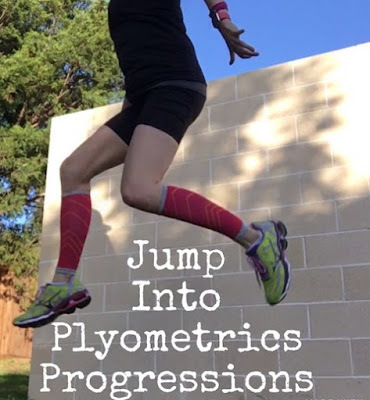 General guidelines for implementing plyometrics are to go from more stable to less stable. For example, begin with double leg jumps and progress to single leg jumps. Another example is to perform the exercises on the ground/floor and progress to a step/box. The following is an 8-week progression of lower body plyometric exercises.